Please join us for a special evening with Federica Mascheroni Stianti of the historic Chianti-based winery Castello di Volpaia. 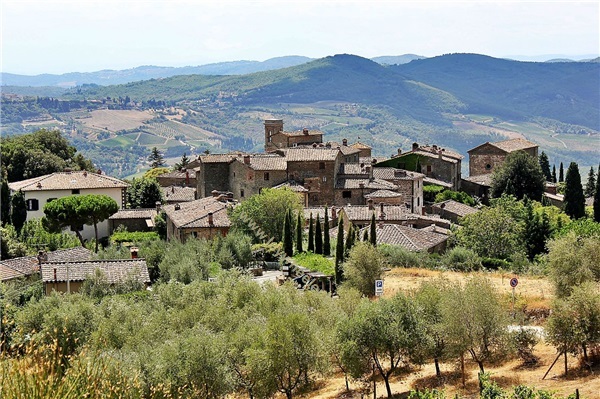 The Mascheroni Stianti family has been one of the region’s leaders since acquiring the estate in the 1960s, going on to lead the Chianti producers’ consortium in 1997. They are proponents of organic agriculture, and unique in their commitment to making wines of both red and white grapes, across a range of styles (dry, sparkling and sweet). Daughter Federica’s involvement is only increasing at the estate, and she’ll introduce us and our guests to her family’s wines alongside a menu specially designed by Bocca di Lupo in London’s Soho. This famous Italian restaurant, a winner of a Bib Gourmand from the Michelin Guide, is consistently reviewed as one of best places for Italian food in the UK. Four courses. Seasonal Italian. Vegetarian options available on request. There are just 12 spaces available. As it’s likely to book up quickly, we recommend securing one as soon as possible.